Check out Tobi's Everlasting Lace Swing Dress Once upon a time in the Everlasting Lace Swing Dress. A flowy and enchanting cold shoulder dress designed with lace trim details along the top, sleeves, and the v neck. Also features adjustable thin straps that dip to a low, lacy trim v cut back. This free-spirited lace dress is cute when paired with sandals or wedges to step out for a beautiful day. Once upon a time in the Everlasting Lace Swing Dress. A flowy and enchanting cold shoulder dress designed with lace trim details along the top, sleeves, and the v neck. Also features adjustable thin straps that dip to a low, lacy trim v cut back. 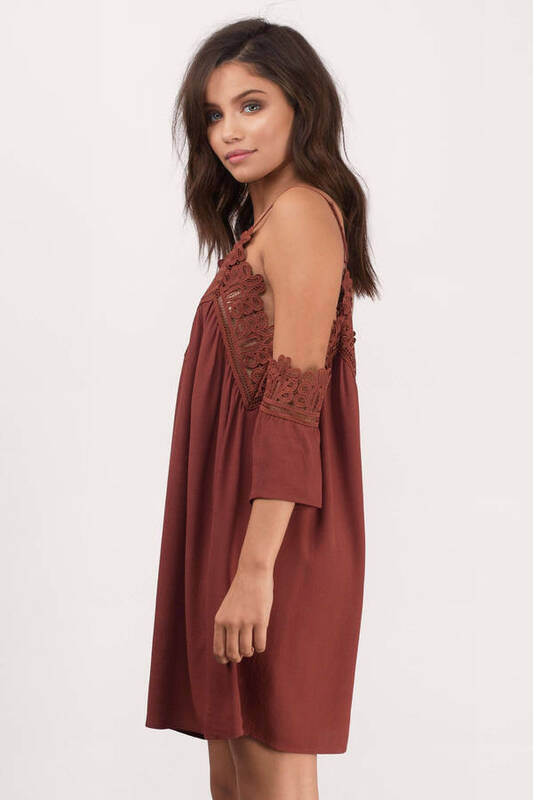 This free-spirited lace dress is cute when paired with sandals or wedges to step out for a beautiful day.